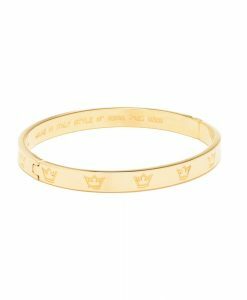 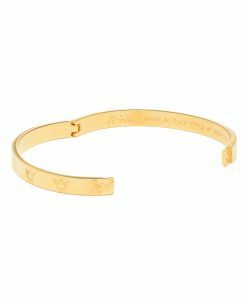 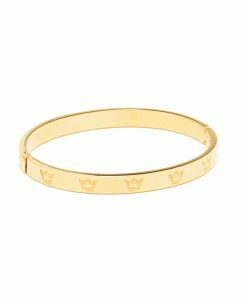 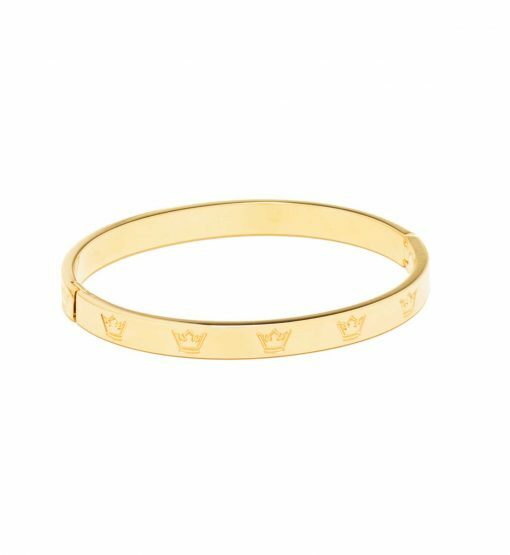 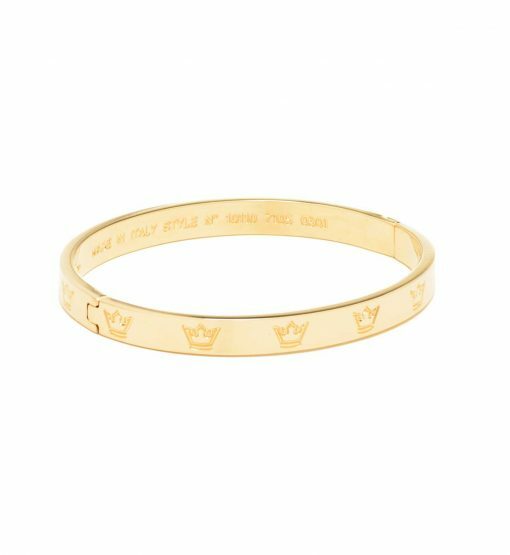 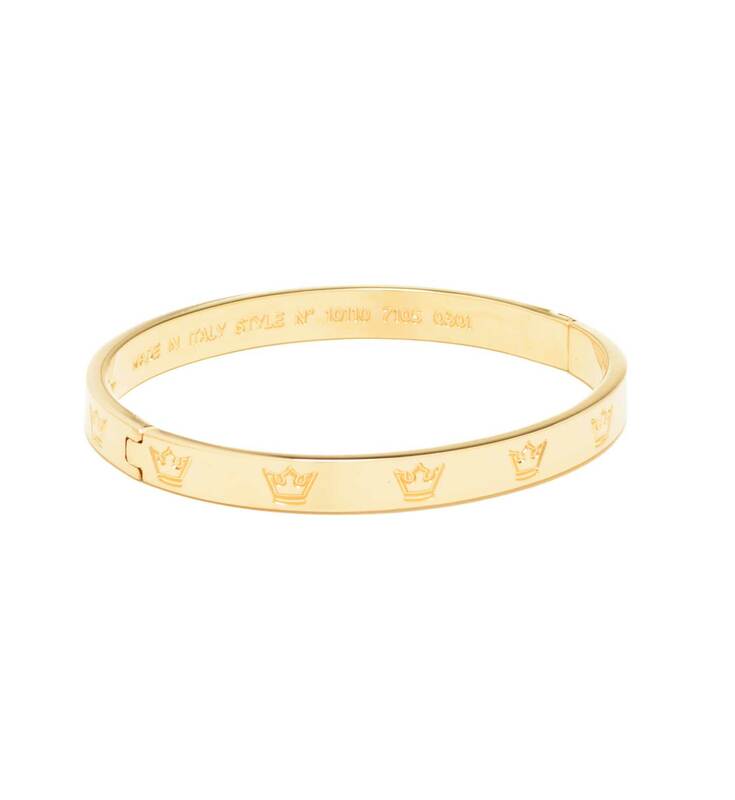 A new addition to the Crown collection, d’ESTE’s bracelet has a clean silhouette. This piece is cast from polished gold-tone brass with recognizable brand symbols – the crowns. 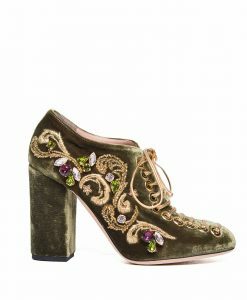 It’s hinged and fastens with a clasp. 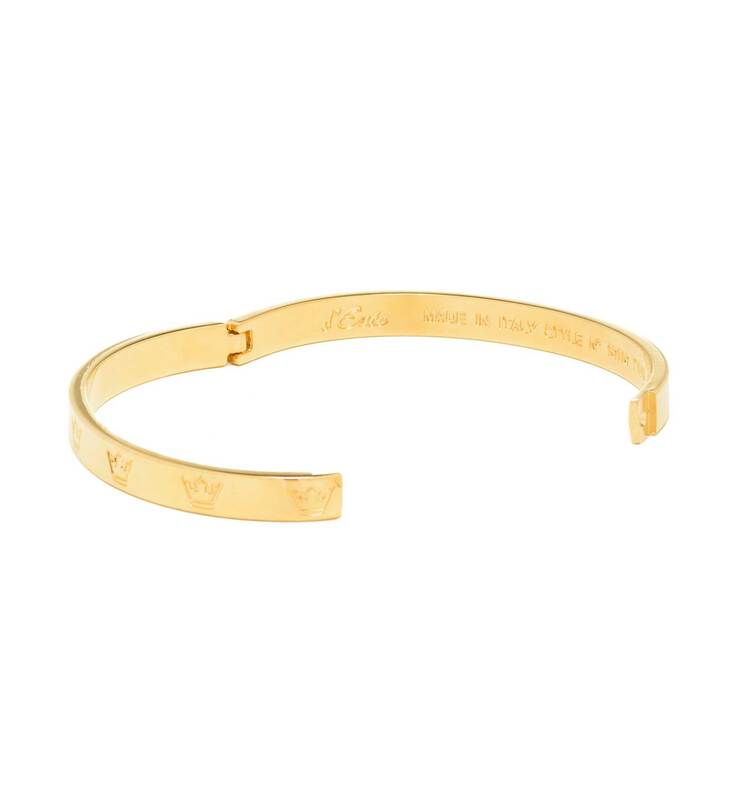 Bracelet can be a perfect gift for the persons you love.